As we all know it has taken a while for spring to kick in this year…I think we are between two and three weeks behind a ‘normal’ year. 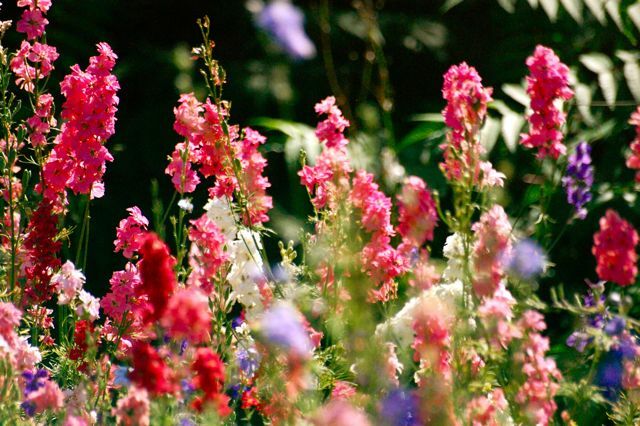 Consequently the sowing of spring sown seeds has been delayed….there is little point in sowing your flower seeds in cold soil…the chances are they will just rot and you will waste your hard earned cash. If you are unsure of what they are then click HARDY ANNUALS. I am in deep Cornwall so our soil temperature has warmed up a little bit earlier than most of the UK…I would wait until very late April or May before sowing if I didn’t live in the far South West…there is nothing to be gained from sowing too early. *Make your beds about three foot wide. 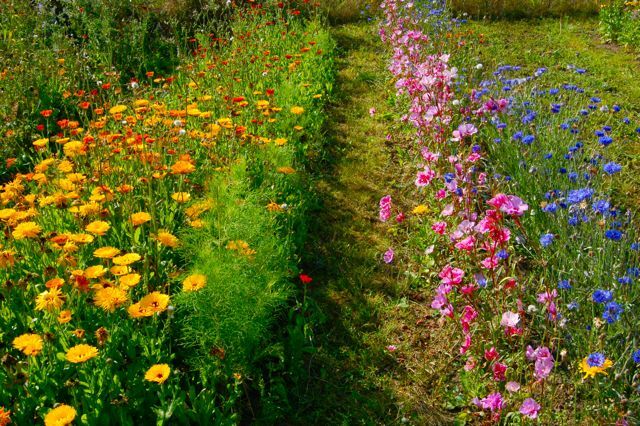 *For a cut flower patch always sow in straight lines…it make maintenance 89.3% easier. *Leave a foot between your rows. This makes weeding a LOT less painful…you can run your hoe down the middle of the rows and all will be well in Flower Town. Rows of well behaved Calendula, Cornflower and Godetia. *Don’t bury your seeds too deep…three times their width is a good rule of thumb…myself, I just give them a light covering. 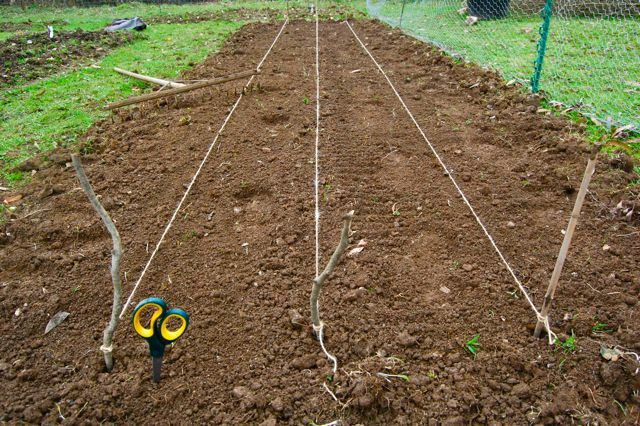 *Make a seed drill by scratching a shallow line with a stick along a taught piece of string…water this BEFORE you sow the seed….this stops the blessed munchikins from getting washed away to Devon with careless watering after they have been sown…also the dry warm soil that you cover them with will help get them in the mood to germinate. 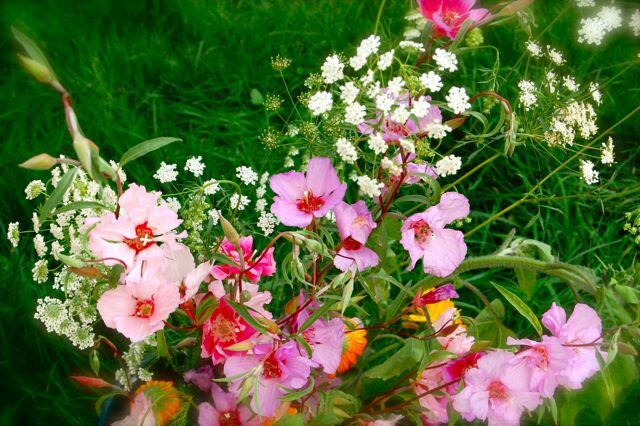 *After you are done…do a little gig to honour ‘Flora’ the Goddess of flowers…no need to sacrifice a goat…that is SOOOO last year. All of these can be found in the wonderful Higgledy Seed Shop. Have fun my friends….let the games commence! Calendula ‘Indian Prince’ Seeds. Sowing Cornflowers. Thanks for all the advice. I’m waiting til the end of the month to direct sow. 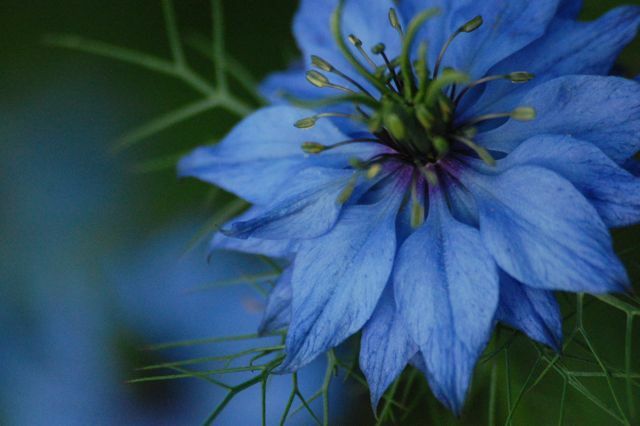 However, last Autumn, I direct sowed some of your Nigella, Calendula and Ammi Majus and Visnage. There is no sign of life in the beds. Is it likely they have gone to the great seed bed in the sky or is there hope that they will yet bloom on earth? I guess with your move, you didn’t get any Autumn sowing done, but what’s your expert opinion? Many thanks. I’m in Sunny Surrey. I feel there’s not much hope of life from the Autumn sowing. Still, all the more to sow in May!